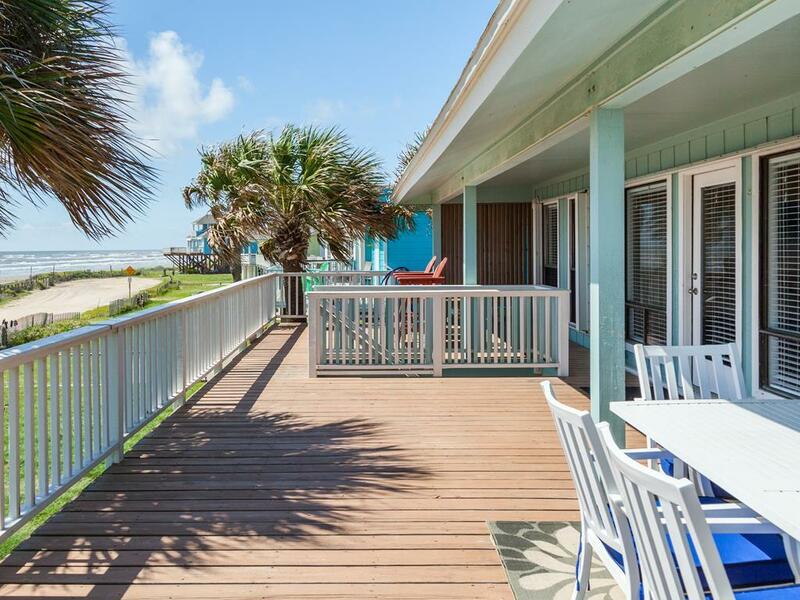 Cozy, pet friendly beachfront home with great Gulf views & a screened patio! This budget-friendly vacation rental is ideal for couples or a small family with its open floor plan with comfortable furnishings and a spacious kitchen. 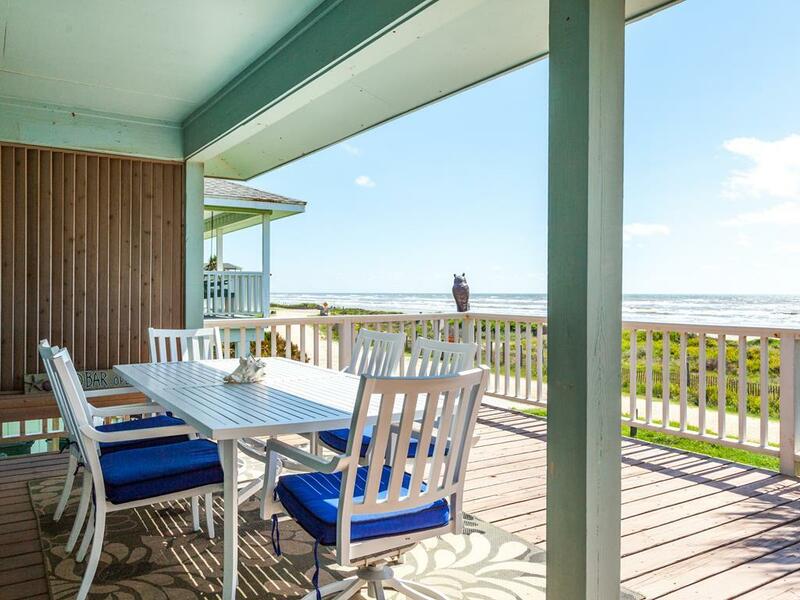 The large deck is perfect for sunning, dining al fresco, or just watching the waves roll in. The beach is just a few steps away, so you will definitely want to take advantage of the sand and surf. Enjoy a cup of coffee while watching the sun rise over the water and then get ready to enjoy another day of well-deserved vacation! This is a great house and loved the clean beach and it’s also great because of the privacy! Will definitely stay again! The beach house is well appointed. Everything a couple or family would want is here. I like the big dining counter with room for 6+ comfortably. I would rent this house again and recommend it to friends. The only thing we did not like was that the bar stools were very uncomfortable and it's the only place to eat when it's so windy outside. Everything else about the place was great. This is a great property for a small group. It has a wonderful deck to enjoy and in a great location. 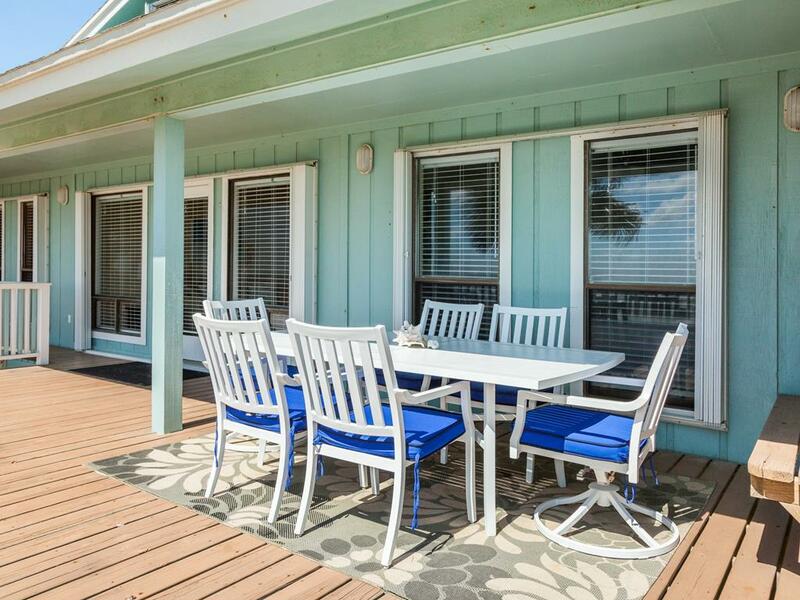 This was, by far, our favorite property: on the beach, comfy, clean, tastefully decorated, and we could enjoy our vacation with our fluffsters. This is the second time my husband and I stayed at this house. The house is fully equipped with everything you might need in the kitchen. The house is located in a quiet area which was really nice as we were able to take our dog for nice long walks on the beach. For a couple it’s great but would not recommend for anyone with young toddlers. Although it is front row, there is access to beach and some days there are so many cars on road from people using beach, you can barely back your own car out. Place is cute with great closets, bathrooms, and kitchen. Great for adult or older couple. Love the downstairs for storing our bikes. Nice beach front rental. Perfect for small family. Charming beach house!!! I loved the decorative touches throughout. Very nice lil beach house. Excellent location! Was just hubs and I with our 4 legged furry children and was a great fit! Terrific deck and short easy walk to the “sand between your toes”. This is one property that we would rent again! Sand N Sea is a wonderful staff and rental experience! Pleasant little house with a great view and a short walk to the beach. The only drawback to this house is a lack of indoor dining area. There are several bar stools at the large kitchen island, but the bar stools are very small & uncomfortable. Better bar stools would be a huge improvement! There is a very nice outdoor dining area. Overall, we very much enjoyed staying in this beach house- great location, fantastic views, comfortable & well-appointed. We will definitely stay here again! The porch was amazing. There was enough shade to keep cool but also space if you wanted to lay out in the sun, and there was always a breeze. The house was very comfortable and had all the amenities that you needed for your stay. The house is small but the porch made it seem so much bigger. The house also had a ton of closet space, which worked out really nice to keep things stored away and gave everyone more space in the house. The only complaint I have is that the floor in the house is very old and had some nails sticking up in the kitchen area. We caught our feet a few times and ended up wearing socks in the house to keep from stepping on a nail in bare feet. Very nice. Great view of the ocean. Very comfortable interior. We noticed some great updating inside on ceiling treatment! The deck has some loose boards and is splintering....needs to be refinished. And the exterior paint is badly peeling....so the property is beginning to look "shabby" from the outside - although the interior is wonderful! Loved it! Just wish the owners would put two twins in the second bedroom rather than a queen. House was clean and very well equipped with all of the necessary items. Absolutely fantastic view from the deck. Great TV selection and Wi-Fi. Didn't want to leave. This is a pet friendly rental which worked perfectly for our travel plans. We stayed at several homes over the years and I must say this was the best one we've stayed at for our summer vacation. The location was great and easy access to the beach. The house had everything you need. We spent a lot of time on the deck (our dog loved it) and especially enjoyed the red captain's chairs. We even caught sight of some dolphins. We will definitely will stay here again. The internet worked very well here. They had movies and games, which was nice. Kitchen was well stocked with all the cookware you would need. We really loved spending time on the deck, and we could see the kids from there so if they wanted to stay on the beach a little longer, they could. Our family truly enjoyed staying at Seas the Day (2nd time! ), especially when the weather cooperated and we could dine and relax outdoors. My only comment is that when the weather did not cooperate and we had to dine indoors, not having a designated dining area made for an eventful dining experience. However, we made do and had a overall wonderful time. This property is beautifully appointed - the interior was beautiful! Access to the beach was perfect! We cannot wait to book this one again! 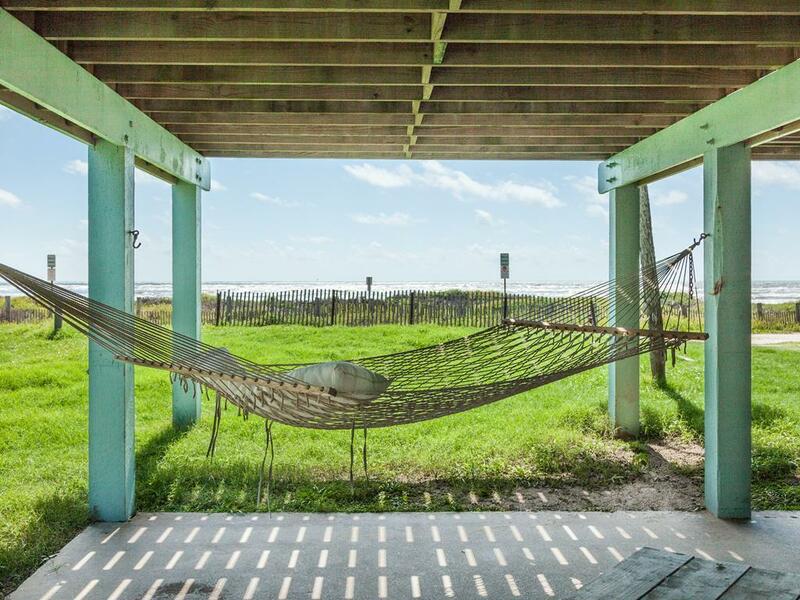 Seas The Day is a charming beachfront house, just the perfect size for the two of us and our 2 fur babies. We love long walks on the beach and sitting out on the deck with our dogs. We've been coming to Sand N Sea for 6 years and we like to rent different homes each time. Seas the Day is our 6th house and we've decided it's our favorite! I love the entire Sand N Sea experience -- their beautiful, clean rentals, the ease of the entire rental process, and the friendliness of staff. We wouldn't even think of renting anywhere else! Great location! Right on beach. Just far enough from town. Beautifully decorated. Well stocked to meet all needs. Very cozy! Just right for us. My husband and I brought our daughter and granddaughter with us. We had a wonderful trip. The house was clean and well equipped. This is the second time we have stayed in this home and love everything about it. My friends with us said it is just awesome! 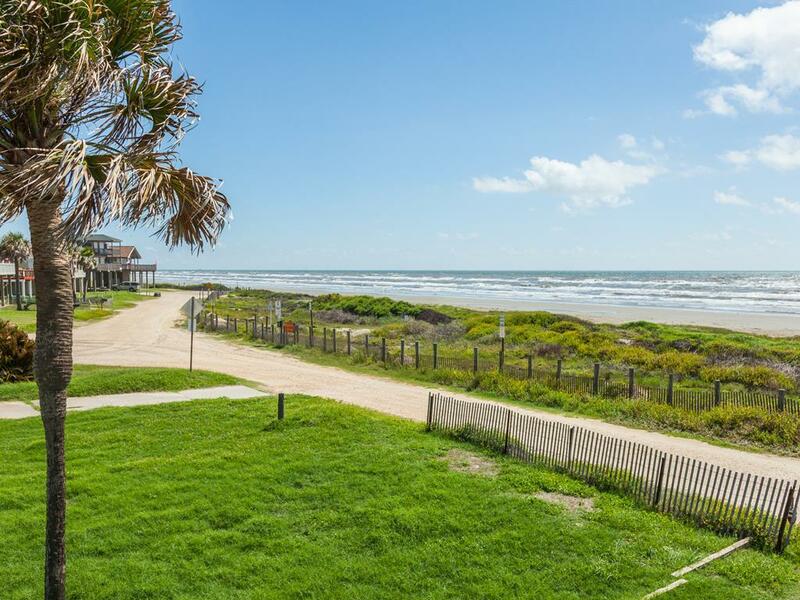 Incredible view and close to galveston for restaurants and shopping. The privacy and view is fantastic. Great house for my wife and I, could be great for 2 couples...2 full baths We have stayed twice..already planning to book property again. Love access to beach...20 yards away ! We chose this property because it has wired internet. It also helps that it's only a few yards from the beach! Our grown grand daughters have requested that we stay in Seas the Day next year. They loved being closer to town. We all enjoyed the wonderful deck and the nice chairs and table while looking out over the beach. This house has a great view.We have rented from Sand N Sea since 1984 and obviously love their rentals. I can always count on Sand N Sea properties to be extremely clean and well stocked with excellent customer service. Seas the Day is a beautiful home where the owner has thought of all the details that make a guest comfortable. 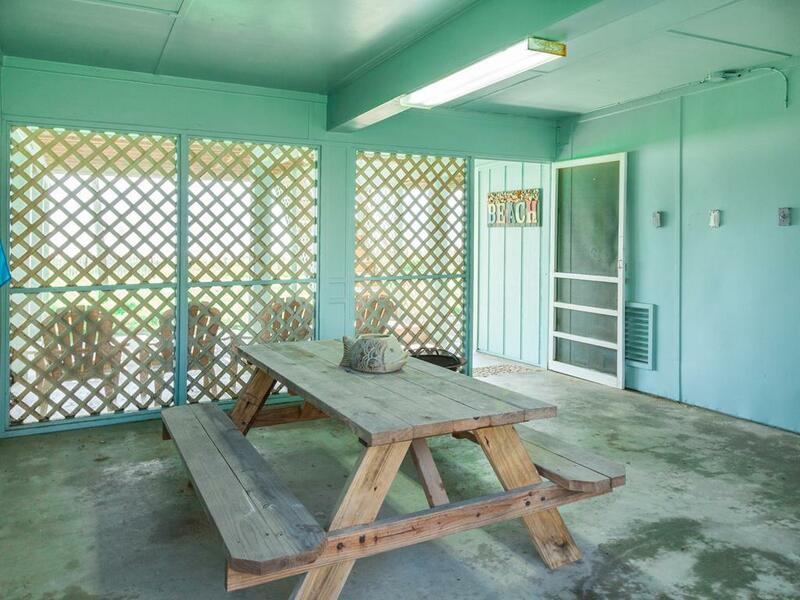 The partially covered deck is amazing. We were even able to sit out in the rain, watch the storms roll in and listen to the surf. Such a comfortable home. Beautiful cottage, well maintained and brilliant utilization of space. It had everything I needed. Hated to leave! This home is very well maintained and very roomy, with an excellent layout. My fianc_ and I especially enjoyed the deck, which is half covered and huge, and the raised chairs on the deck give a spectacular view of the beach. Having a king size bed is a nice addition to a really nice home. We'll definitely be back! We LOVED your beachfront home! Our family of 4 loved being right on the beach and appreciated your attention to all the small details that make your house a home, even for renters! From the decorative, beaded shower curtain in the master bath, the basket of paper & pens for keeping score during our card games, the great books in the bedside table (I love David Baldacci), great games, CDs & DVDs, to the beach toys in your huge storage area downstairs, you made it impossible NOT to feel comfortable and welcome! My only hesitation in writing this is that others will discover your house and it will never be available when we want to return! Now that we know how great it is, we'll stay at least a week next time! This is a beautiful home that is perfect for one or two couples. It looks out right onto the beach. There is also an excellent wired internet connection (Comcast) which is accessible in the master bedroom. Perfect house for 2 couples, awesome view and in April feels almost like it is a private beach! Really nice even when the weather doesn't totally cooperate! This is a lovely beach house, beautifully decorated, great for a beach vacation. We enjoyed sitting on the deck watching the ocean/ sunrises / moonrises / birds / boats. The hammock below the deck was extra special for taking short naps in the warmth of the afternoon and reading books. A great place to relax for sure! I miss it!!! This is a first-class beach house. It is very comfortable, quiet, had all the supplies and amenities we needed. Perfect access to the beach. From the condition and furnishings, you can tell that the owners and Sand and Sea take pride in their property. It was a wonderful holiday. Will definitely return. This is a FABULOUS house! It suited our needs PERFECTLY. Sand N Sea is very professional & efficient. Everything was spotless, well stocked & well cared for. This was a truly exceptional vacation for us and we would recommend it without reservation to anyone needing a small getaway house on the beach. AMAZING!!!!! 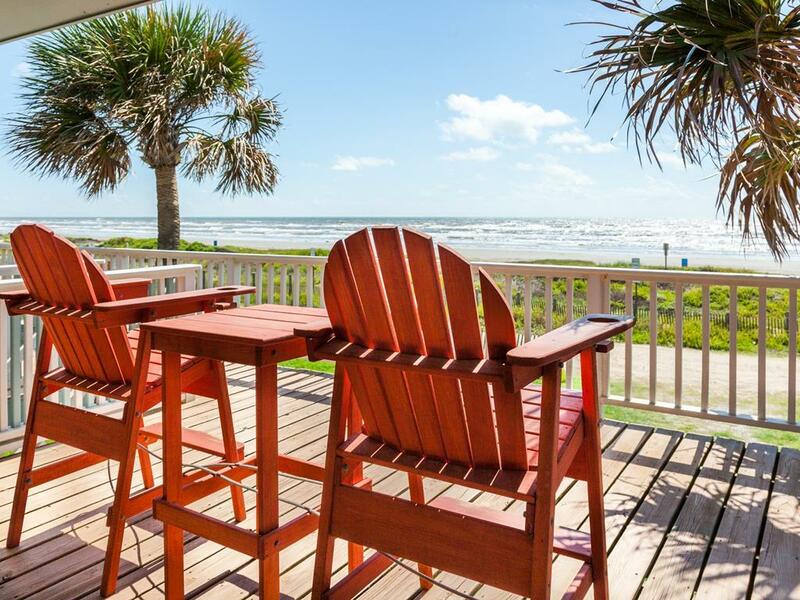 The deck with its view of the surf and beach is fabulous and so relaxing. The proximity to the beach is great for the family. This house is perfect for any age generation to enjoy. This house was perfectly situation and was a cozy getaway for my husband and I. Far enough from town to enjoy some privacy and close enough for a quick drive in for some fantastic food and entertainment. We had a great time at Seas The Day! 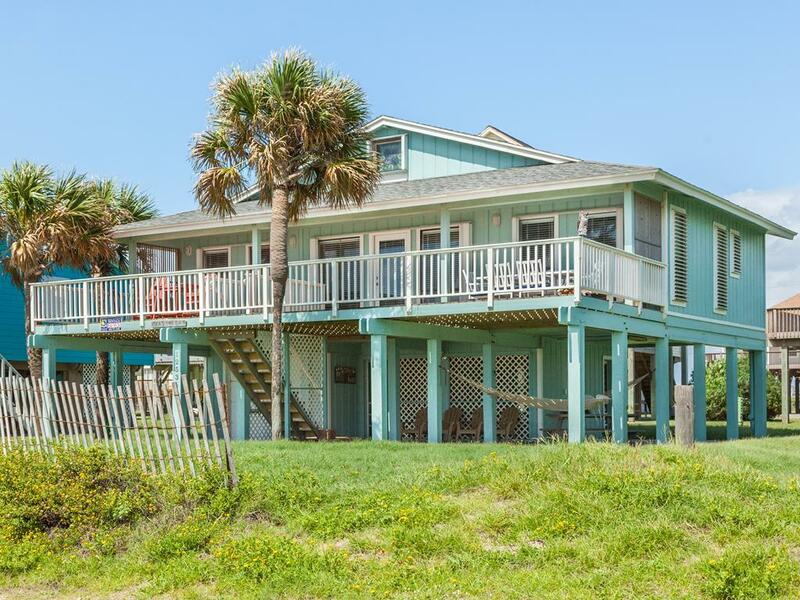 The house is lovely, it has a large deck with a porch swing, two hammocks on the lower deck and it is just steps from the beach! We had a lovely ocean view. The rental staff was friendly and helpful. I would absolutely rent this property again. The kids loved it too! Enough boogie boards for everyone! 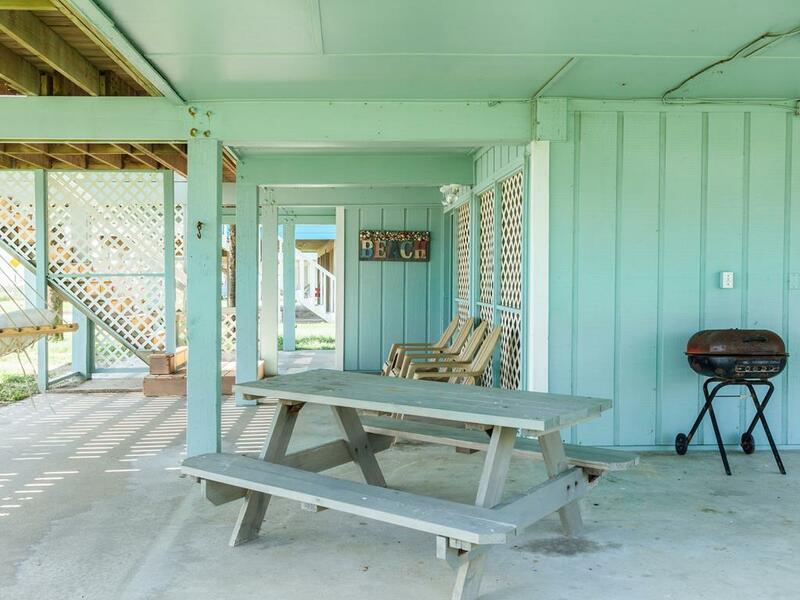 Situated in a perfect location,just steps from the Gulf and away from the throngs of tourists.Wonderful and unexpected amenities for any age group. The "enchanted cottage" as we referred to it was beautifully appointed and well decorated. We can't wait for a return visit.